I ra rely use EverythingNonfiction.com to promote my own work. Today is an exception. I want the readers of Everything Nonfiction to be aware of recent developments concerning my two books 35 Miles From Shore and Scapegoat. 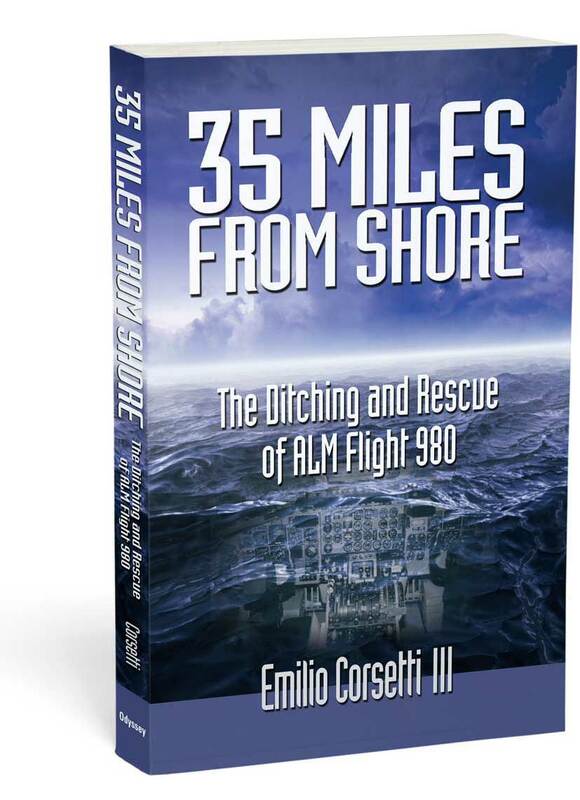 My book 35 Miles From Shore: The Ditching and Rescue of ALM Flight 980 tells the true story of a 1970 airliner that ditched in the Caribbean Sea and the efforts to rescue those who survived. I recently reduced the price of the eBook version to just $2.99. For less than the cost of a magazine you can read about the first and only open-water ditching of a commercial jet. 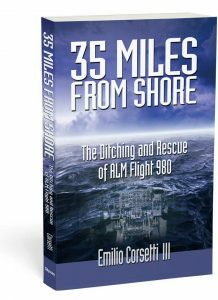 So before Tom Hanks makes his soft landing in the Hudson this September as Sully Sullenberger, you can learn what it was really like for the passengers of ALM Flight 980 who went into the stormy, shark-infested waters of the Caribbean on May 2, 1970. My second book Scapegoat hasn’t been released yet, but, if you’re lucky, you can win an advance review copy of the book on Goodreads.com. 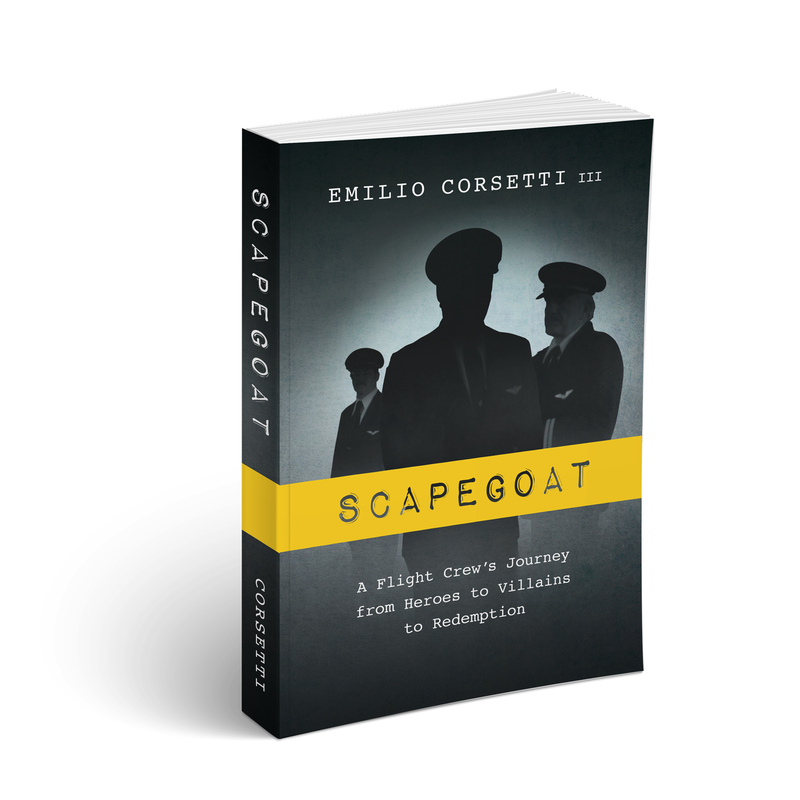 Scapegoat: A Flight Crew’s Journey from Heroes to Villains to Redemption tells the true story of an airline crew wrongly blamed for causing a near-fatal accident and the captain’s decades-long battle to clear his name. I’ll be giving away copies of the book over the next several months. There will be 25 giveaways in total. S o head on over to Goodreads.com and enter for a free advance review copy of Scapegoat. Want to learn more about these two books? You can learn all about 35 Miles From Shore at www.35milesfromshore.com. To learn more about Scapegoat, just head on over to my personal website and checkout the Scapegoat book page. You can also watch the three minute book trailer below.